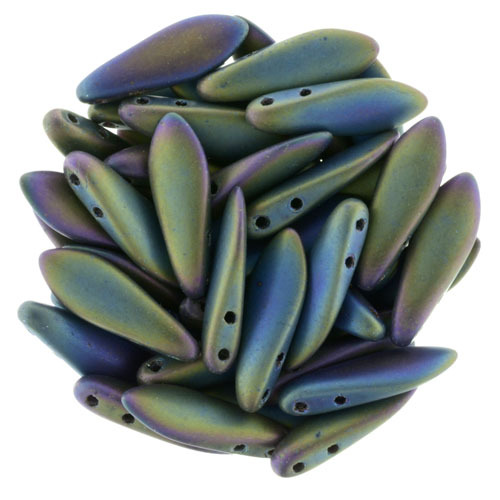 We welcomed CzechMates Two Hole Daggers 5/16mm : Matte - Iris - Green to our wholesale bead catalog on Aug 30, 2013. As with all of our beads this item is manufactured to be the highest quality and would be a great addition to your bead store. We sell this item to stores by the Mass (1 Mass = 24 Strnd 1 Strnd = 50 pieces 1 Mass = 1200 pieces ).